As we enter the year 2017, the final week of 2016 had lots to do with entertainment. Let’s take a quick recap of what the final week had to offer, before we move to a fresh and a fabulous new year. Well, recently, Selena Gomez resurfaced on Snapchat. After her post-rehab appearance at the 2016 American Music Awards in Los Angeles, the singer has shared a few updates on Instagram but was relatively quiet on Snapchat. She has now made a comeback on Snapchat on the page of a fan. She was seen sitting with a fan in a booth to play around on Snapchat. Meanwhile in Korean drama series related news, Lee Jon Suk won the Grand Prize Daesang award at the 2016 MBC Drama Awards. But fans were disappointed at his very short 40-seconds speech. The actor’s explanation that he had taken two herbal supplement relaxation pills which made him drowsy and uncomfortable to speak sparked off a criticism by netizens. Netizens even started questioning the process of deciding the winner by fan votes only, rather than by performance. 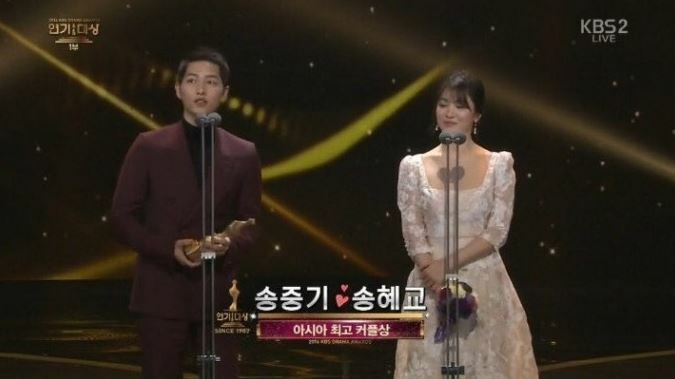 The 2016 KBS Drama Awards, which concluded in Seoul recently, saw Descendants Of the Sun stars Song Joong-ki and Song Hye Kyo win the Grand Prize and the Best Couple Award. The lead stars of Moon Lovers: Scarlet Heart Ryeo were nominated for Best Couple Award Category by SBS Drama Awards and the duo graced the ceremony with their presence. It looks like Hwarang: The Poet Warrior Youth – the South Korean television series starring Park Seo-joon – is an epic flop. 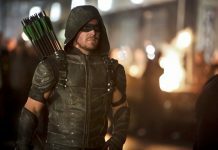 The newly released TV series posted dismal viewership ratings, with the first episode seeing only a single-digit viewership rating of about 7%. The audience isn’t particularly happy about the actors’ “artificial” nature of acting. In news related to Duggar family, rumors hint at Jill Duggar being pregnant with twins. Jim Bob and Michelle shared a link on the Duggar Family Official Facebook page and dropped a hint that Jill might be pregnant with twins. The identify of the man who kicked Song Ji Hyo and Kim Jong Kook out of the show Running Man has finally been revealed. It looks like the man is none other than the producer Gong Hee Chul. Fans of the TV series were in a state of shock when they realized that Song Ji Hyo and Kim Jong Kook had been forced to quit. In yet another Selena Gomez related news, it was reported that Selena Gomez has been stalking Justin Bieber on Instagram and had been bombarding her friends with pictures of her and Justin, just before her rehab visit. Apparently, she was so obsessed about their relationship that looking at their pictures made her feel good. 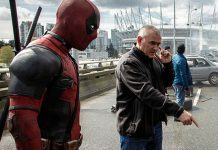 Want to find out more about all the entertainment news from the final week of 2016? Read on!